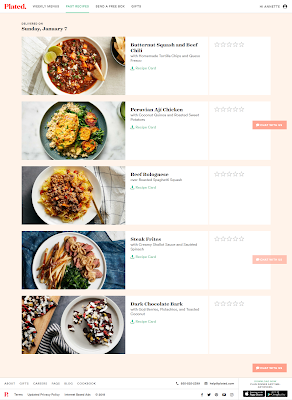 The ones I have looked at couldn't be customized for all the things my family needs (read that as "my daughter would exist on air if it had any nutritional value and paleo keeps me off opioids for chronic back pain and IBS"), so menu planning, weekly or bi-weekly grocery shopping, and cooking have had to be done from scratch. And I thought life would forever be that way. Disclaimer: having my local grocery store deliver during the winter months has been a life and sanity saver, so I guess I was half-way there. 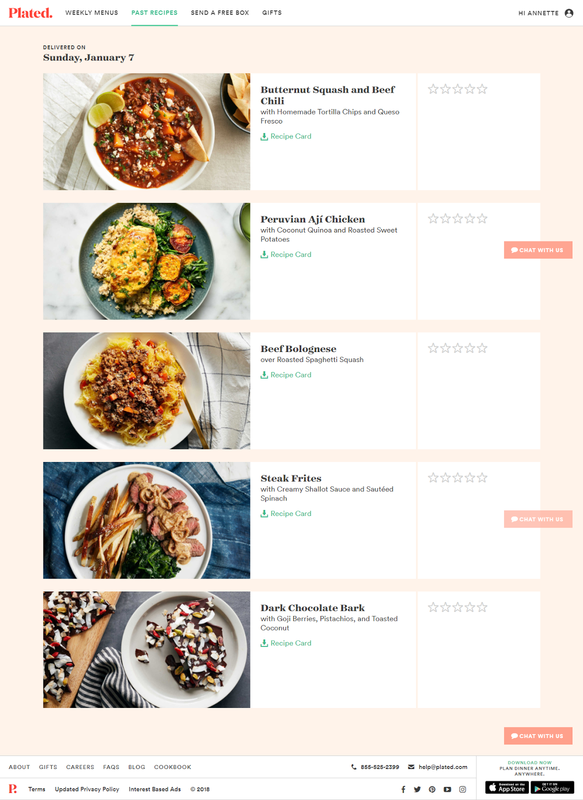 My first week on Plated. And then I started listening to "Steal The Stars" - and to hear the guys gush about Plated ... ok, really, it was the 50% discount that hooked me along with the selection. (I would totally link to my referral code at this point, but I have to order a few more boxes, so please, subscribe to the podcast and use theirs). And the fact that I could swap out meals!!!! I signed up at about the same time I signed up for #Cook90 (obviously I wasn't feeling motivated to menu plan in the new year), and my box of goodies arrived last night. I was so excited! I'll have to re-evaluate when Joy returns, but seriously. It's almost the same cost and saves me time! That's a win all around. And I will have to come up with something for Friday! After last night I realize there will be little to no leftovers.